Unbeaten Jeyvier Cintrón and Luis “Popeye” Lebrón already have opponents for their WBO Latino bouts in the return of the series “Sabado de Campeones in Casino Metro Boxing Nights” to be held on Saturday, September 1, in the San Juan Ballroom of the Sheraton Puerto Rico Hotel & Casino in San Juan, in a presentation of PR Best Boxing Promotions (PRBBP), which will be broadcast by Wapa Deportes. In only his eighth fight as a professional, Cintrón (7-0, 4 KOs), twice (2012 and 2016) a Puerto Rican Olympian and signed by Top Rank, will face Mexican Alonzo Melendez (15-2, 13 KOs) for the vacant WBO Latino Junior Bantanweight title in a 10 rounds scheduled bout. It will be the second fight in Puerto Rico for Cintrón, who has defeated Venezuela’s Gregory Vera last month to win the WBO Youth belt at 118 pounds. The match against Meléndez will also be the sixth of 2018 for Cintrón. Meanwhile, Popeye Lebrón (12-0-1, 6 KOs) will defend his WBO Latino title at 126 pounds against Chilean Robinson Laviñanza (13-4-2, 5 KOs). 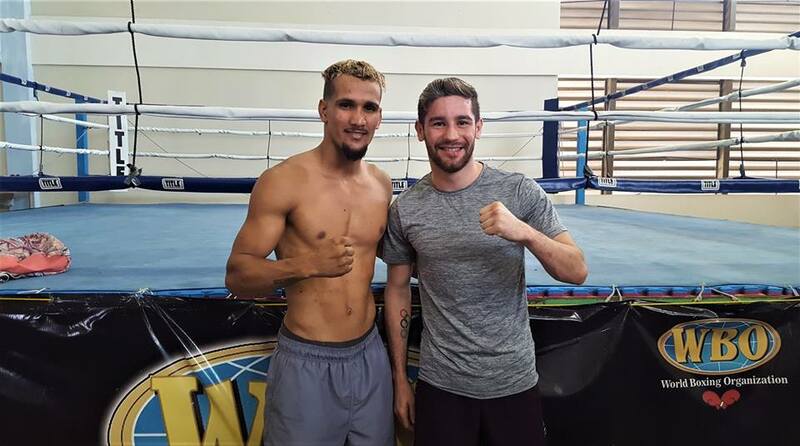 For Lebrón, it will be the second defense of the title he won in April against Luis Ruiz and defended in July against Milner Marcano in Colombia. Lebrón is ranked #12 by the WBO in the featherweight division.